Thank you for the notes, the papers i have done today were fair am guaranteed of pass. meanwhile am buying section 2 for November sitting. Hi. I tried ti locate sample notes on advanced public finance and taxation but could not. Does it mean you do not have them online? I would like to get CPA notes for Strategy Governance and ethics, Advance Financial management, Advance Management Accounting. CPA section 5 and Advance audit assurance CPA section 6 paper No.17 kindly advice. Hello, I would like to update my CPA notes with what you have as I have seen you have much more current version. and the whole of section 6.
please let me know how much it will cost me to get the most current version of the notes. 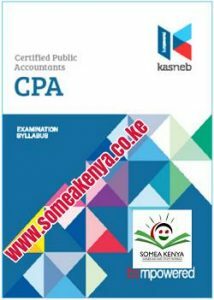 We have the requested KASNEB CPA notes in hardcopy and in softcopy. Text/whatsapp/call 0707737890 to make some arrangements on how you will get them.